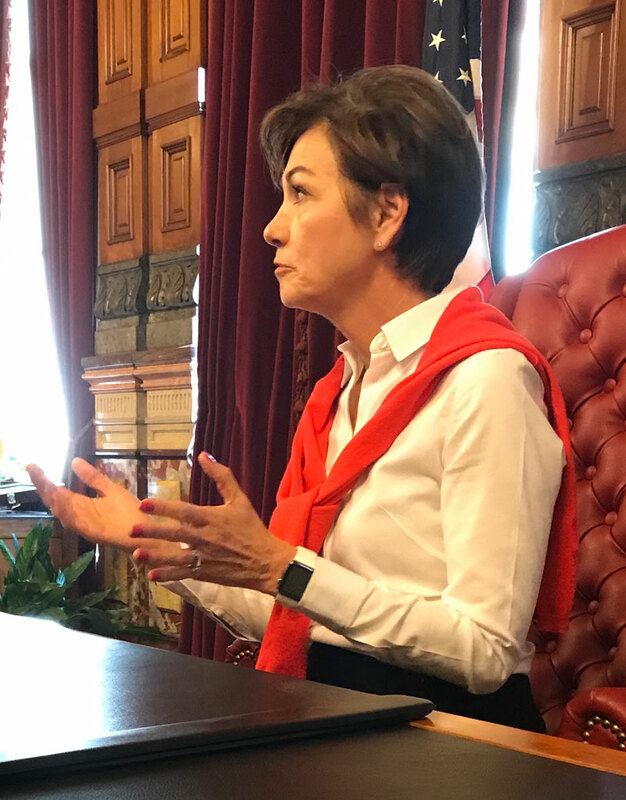 Governor Kim Reynolds will meet soon with Iowa lawmakers to discuss how much state funding may be needed for flood recovery efforts. Reynolds met in Malvern Monday with local officials and she says some funding may be needed in the current budgeting year as well as next year. The state has an “Economic Emergency Fund” but Reynolds has not indicated whether she’ll call for that that to be tapped this year to cover flood-related damage. Once federal funds are approved for disaster recovery, the state and local governments will have to come up with matching funds for public facilities, including roads and bridges. “We want to get it right and there really are still areas where we can’t even assess what the damage is right now,” Reynolds said. According to the governor, the Army Corps of Engineers has indicated they have the money to cover initial repairs to four key levees that were damaged by the Missouri River flooding. Democrats in the Iowa Senate have been calling for a $50 million state flood relief package. Republicans in the legislature say they’ll follow the governor’s lead in drafting a spending plan to respond to the disaster.